Fun, easy to follow, delicious and healthy recipes that will turn you into a devoted foodie! "The Storming of the Bastille", Visible in the center is the arrest of Bernard René Jourdan, m de Launay (1740-1789). Today is the Bastille Day, which is celebrated largely in France on July 14th each year. Storming of the Bastille on 14 July 1789 was a turning point of the French Revolution. As Bastille was known for holding political prisoners whose writings had displeased the royal government, it was a symbol of the absolutism of the monarchy. However, at the time of the attack in July 1789 there were only seven inmates, none of great political significance. Although, you may not planning to celebrate, I would love to share with you my favourite a la France recipes, because if try something fancy on a kitchen then why not today, right? I love cooking yet hate spending much time on the kitchen, so I’m very happy when I find easy and quick recipes. Here are some of them, and all ingredients you can easily find in a local grocery store. A great recipe that will turn any family dinner into a festive celebration! Prepared with 100% local and antibiotic free meat provided by TrueLocal. 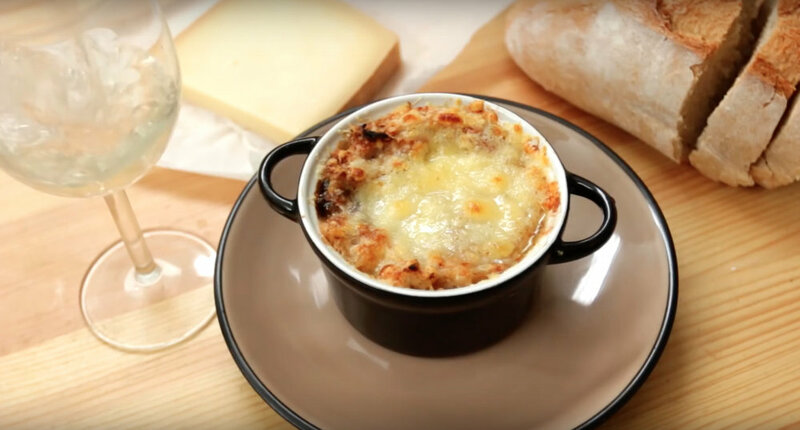 Warm yourself up with this cosy and seasonal recipe! If you always wanted to learn how to make a goulash - this is your chance! Who doesn’t love gnocchi? Discover this easy recipe and feel the warm of Italian cuisine! Bone broth has many health benefits and also tends to bring families and friends together (to a dinner table, of course!). We are sharing this secret recipe with you!